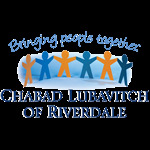 Chabad-Lubavitch of Riverdale invites the entire Jewish community to enjoy a Shabbaton with Rabbi Dr. Laibl Wolf LL.N M.Ed.Psych. D.Div on November 22-23, Kislev 19-20. Supervised children's program during lectures.